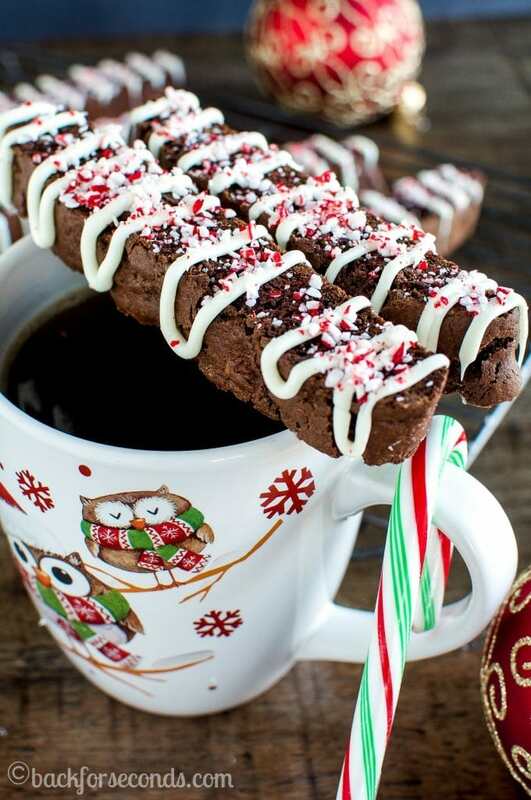 This Chocolate Peppermint Biscotti is the perfect cookie for dunking in coffee or milk. These crunchy, festive cookies also make beautiful Christmas gifts! I don’t make biscotti nearly enough and I have no idea why! 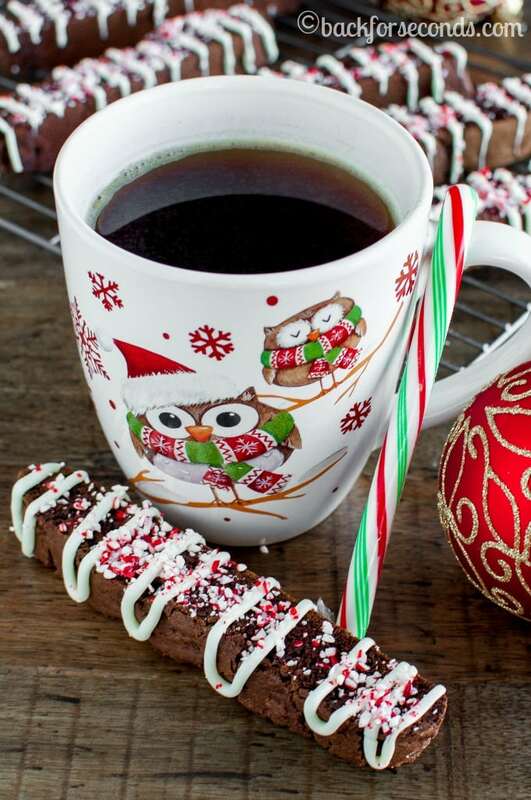 They are faster to make than regular cookies (no scooping), they are the perfect companion to my regular afternoon coffee breaks, and my kids get so excited and love dunking them in milk! 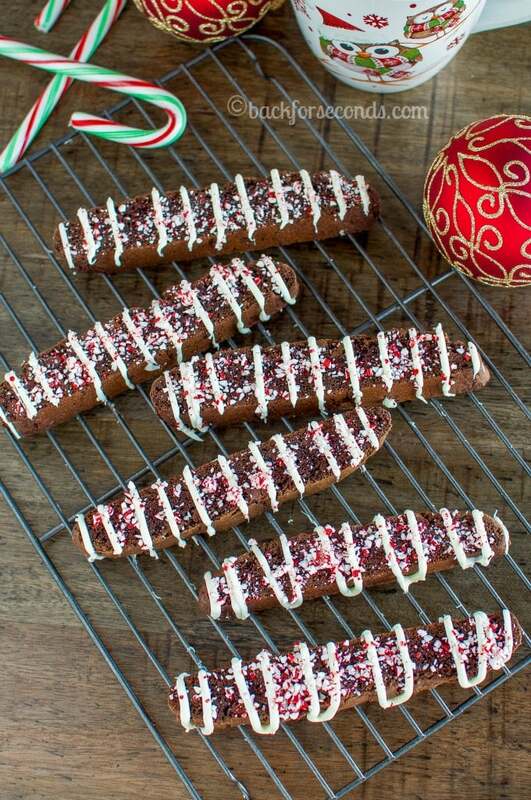 This Chocolate Peppermint Biscotti would make such a nice gift too! Wrap some in cellophane and tie with a ribbon. Put them in a big coffee mug and voila! You have an easy, yummy, lovely gift anyone would be happy to receive. Speaking of gifts, are you done Christmas shopping? Don’t even ask me. While I’ve made several trips to various stores, and multiple boxes are arriving daily, I have so many people to buy for, it’s taking me a lot longer this year to get it all done. 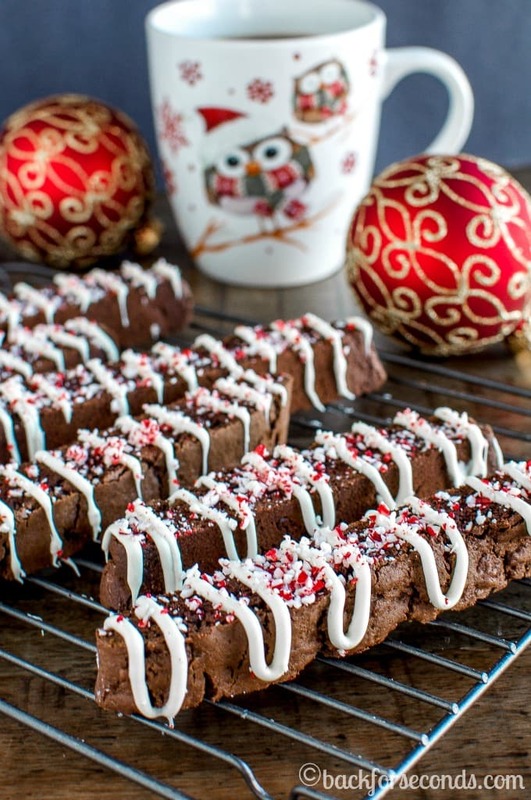 I hope you give this Chocolate Peppermint Biscotti a try, and I hope it fills you with cheer! Merry Christmas!! Looking for last minute gifts? 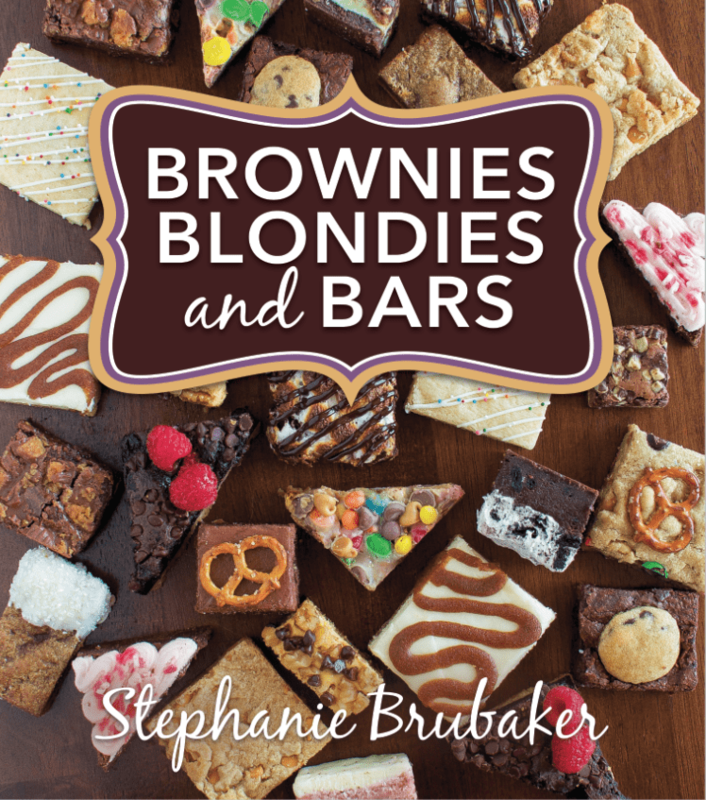 This cookbook is the perfect gift for sweets lovers and bakers of all skill levels! Get your copy today! I have a cookie exchange at work next week. I am definitely making these to take. Festive, fun and they look down right delicious! Thank you for posting this recipe, I know it will be enjoyed!! If I freeze these, when should I add the topping? Can the topping freeze or should I wait until I’m ready to gift these? I would add the topping just before gifting. I have frozen them with the topping on, but the candy cane bits aren’t as good that way. Enjoy, Abby! You should be able to freeze the toppings too. Make sure you use a good freezer bag or container. I made these for Christmas cookie gift platters that our team in the operating room gives to the Pre-op and PACU nurses every Christmas and boy are they amazing! Loved by all and the recipe was asked for many times. Thanks for the excellent recipe!!! That makes me so happy. Thanks so much for letting me know! Merry Christmas! How many pieces would this recipe yield?